A tiny hammered brass spoon. Sold individually. 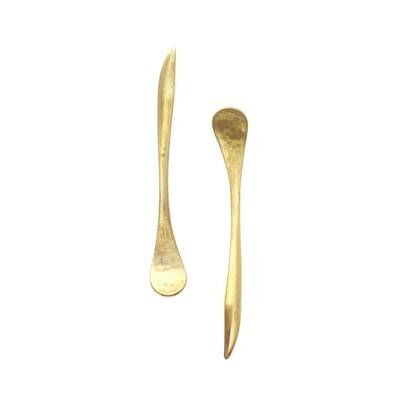 Brass Spoon Size: 4 1/2 L x 5/8" W.